This book was nominated for the national book award in 1988 for fiction. It is the story about Father Joe Hackett who as a young man was an athlete and a bit of a partier, and then he became a priest out of saintly ambition but becomes overly fond of the drink. Joe is a strange hero for a novel. Powers' daughter Kathrine in her introduction to the current edition states: "Written over an increasingly dark time, Wheat That Springeth Green was shaped by my father's growing conviction of the progressive and irredeemable absurdity of things. He was a connoisseur of the dull, the mediocre and the second-rate, and of the disingenuous and fraudulent, but now it seemed that their dominion has truly come." This book captures much of that sentiment - Joe in his own life and in his interactions with most of the other clergy in this book. Though Powers is more famous for his earlier work Morte D'Urban, I personally find this book much more enjoyable and Joe, though he has more visible faults, a person you can relate to more easily. I have known priests in my life that were mirrors of both Joe and Urban and yet I end up seeing a lot of myself in Joe. Joe desired to live a holy life; he wanted to be pious and devote. He desired to be a man of prayer, serving the world. In chapter 6 Out in the World (previously published as The Warm Sand) Joe, in his last year in seminary, became known as a holy roller and was avoided his last year in school. His first assignment is with a priest who is a truly pious man, and when he criticizes him in front of some other clergy he experiences great remorse. Through this event he tries to change his ways. Personally I can really relate to Joe; there is much in his small successes and more frequent failures or setbacks. This book is excellent. It was a labour of over 25 years of writing and rewriting. And having read some of the earlier versions of some chapters published as short stories, it was worth the wait. Powers, being the wordsmith he is, crafted and recrafted the stories together into a fabulous novel. This short story is a like a sad version of the The Gift of the Magi with the sacrifice, but without the reward. The story is one of an old man looking for work during a depression. He finds a temporary seasonal position, yet his day is long and hard. When he goes home he must act a role with his wife. This is a sad tale of a sad man - a man who has lost it all, but must keep plodding on. While working, he overhears part of a conversation about himself, and he is referred to as the old bird. This story is heart-wrenching. I have known people like Mr. Newman, men broken and beaten by life, tortured, timid men. The story evokes great emotion. But what makes this book so excellent is not the story. It is this special edition. The story is enhanced by the illustrations from Barbara Harman. This special edition was created by the Minnesota Center for Book Arts. The project created 260 signed, numbered, limited-editions of this soft story. The Old Bird, a Love Story was published by the Minnesota Center for Book Arts on December 7, 1991. It was the fourth in an annual series commissioned to celebrating winter in the Upper Midwest. The story previously appeared in the Rocky Mountain Review, (1944) and in Prince of Darkness and Other Stories (Doubleday, 1947). The book is a treasure for the Powers' fan, or for a serious bibliophile. Beautiful to hold and read, the book itself is a work of art, let alone the art of the story within on the pages. Gaylord Schanilec, MCBA Artist-in-Residence in 1991, designed and printed the book on Rives Heavyweight. The Garamond type was composition-set at Harold Berliner Type Foundry. There were two editions of this special edition - first the standard edition which consists of 260 copies, numbered and signed by the author and bound by Greg Campbell of Campbell-Logan Bindery in a non-adhesive paper binding. Second the deluxe edition consists of 40 copies, lettered and signed by the author and the artist. This edition is bound by Dennis Ruud in quarter leather with an original monoprint by Barbara Harman in a leather-edged slipcase. These special editions of this book were made possible in part by a grant from the National Endowment for the Arts Literature Program and with the generous support of Allegra and Paul Parker and Gail and Henry See. If you can track down this edition, it is tremendous. A very persistent person from the InterLibrary Loan Office at the University of Waterloo was able to track it down for me after attempting a number of different libraries. It was a pleasure to read such a special book. This book won the national book award in 1963 for fiction. Our hero Father Urban is a little quirky and self-centered; yet even with those faults it is hard not to sympathize with him. I approached this book with some regret. It was the last of Powers' works I would have the chance to read. So I took my time and slowly read chapter by chapter, savoring the book over a much longer period than I normally would. The book was both satisfying and a bit of a disappointment. It was satisfying in that I have now completed the published books of J. F. Powers. It was also sad because of this fact. It was a bit disappointing in that the story feels unfinished. Like a chapter was left out when it went to printing. Some of the plot was inevitable, and predictable, but the characters you meet along the way make the book very engaging and entertaining. I am a post Vatican II baby. As such, I do not know the Latin Mass - have only read books, and seen films of what the church was like before that period. Powers is a master at creating characters, and characters that are believable. His priests, brothers, monsignors and even bishops are believable to anyone who has had serious interactions even with clergy of today. I know of a priest locally who could be an Urban walking off the page to take up ministry today. Many segments of this book were previously published as short stories in a variety of sources. Powers was a master at the short story, but his creative genius was his ability to take those short stories and turn them into a convincing novel. He has done this with both his published novels - this book Morte D'Urban and Wheat That Springeth Green. Both books were nominated for the National Book Award and Urban won. That is the testament to Powers' power and prowess with the quill. It is also witness to his ability to transcend the short story, a genre that appears to be going by the wayside, and to compile books of great depth and insight. Modern author Chuck Palahniuk, the author of Fight Club, wanted to write a book of short stories, but his publisher, even with his popularity after Fight Club, would not allow him a book of short stories. Then Palauniuk wrote Haunted a collection of characters' personal stories told by a group of writers locked in a building. Powers achieves what Palahniuk does not in that his stories flow together seamlessly, where Palahniuk's are obviously individual stories. This book is worth the read for anyone wanting a glimpse of insight into post World War II Catholicism, especially in the Midwest. But it is also a great study of people and why they do what they do - what drives them to achieve, their dreams and ultimately their failures and defeats. Unfortunately I have now read all of Powers' fiction. Fortunately the 2 books and 3 collections of short stories can be savored again and again. I can predict I have not finished with reading Powers, or Urban. I am soon going to be reviewing for The Catholic Company, they have a new expanded reviewers program. 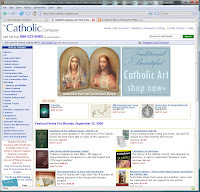 So If you are Catholic and have a blog or website and are interested in reviewing products stop by and check it out. 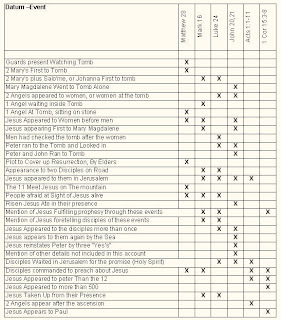 My first review will be on Signs and Mysteries-Revealing Ancient Christian Symbols by Mike Aquilina. Keep an eye out for it and other new reviews coming your way soon thanks to Chris at The Catholic Company. It was hard picking from the current selections. I was also very interested in Catholic, Reluctantly by Christian M. Frank hopefully it will still be available on my next pick. Hat tip to Ebeth from A Catholic Mom Climbing the Pillars. From the Publishers of Jeff Smith's Bone comes a new series from one of the authors of the Spiderwick Chronicles. The series called Kin debuts this fall with The Good Neighbors. This is a fantastic graphic novel. The story is strong and compelling, the characters are enticing and draw the readers in, and the artwork is excellent. This is the beginning of the story of Rue Silver. Rue thought she was a typical student - she had good friends, hung out, went to class and broke into abandoned buildings to climb and explore in them. But now her mother has just disappeared, her father has been arrested, suspected of killing her and one of his grad students. However the story is not as direct as that. Because, unbeknownst to her, Rue is a faerie, like her mother. Rue embarks on a quest - a quest to save her father, a quest to find her mother and after discovering her fey roots, a quest to understand herself and her role in the world. For a battle is brewing between the faerie world and our world, and a dark faerie has plans to make mortals live in fear of the good neighbors once again. This book reads like a cross between Neil Gaiman's Neverwhere and Stardust but with a much darker edge than Stardust. Drawn completely in grayscale, it has an otherworldly feel yet strangely familiar. Black's story draws you in and compels you to read on and Naifeh's images powerfully complement the words. The only drawback is that the book leaves you hanging and desperate to find out what happens next, and yet I cannot find a release date for book two anywhere. So once you are hooked you might have to wait a while for the next installment. But even with that the book is more than worth the effort. Jeff Vehige over at Thursday Night Gumbo had test results posted, he was a monk and I thought I would end up being one too. I ended up bing a Knight. You scored 21% Cardinal, 49% Monk, 35% Lady, and 57% Knight! 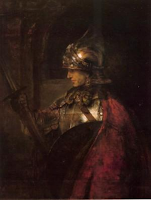 This picture I was given when I came back to school 10 years ago to study Religion and Theology, it has sat above my desk for most of that time. I prefer the vulnerability of the knight in this with his helm off, his neck exposed and holding a child. Both a warrior and a nurturer. Thus MCWPP Mad Celtic Warrior Poet Priest! Here are some other pictures in that genre I have had up in my office over time. 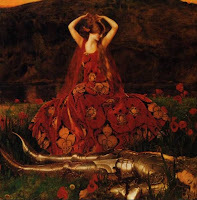 I have always had a fascination with artwork about knights, la belle dame sans merci and Ophelia. An IT manager's guide on how to be better at what you do, no matter how experienced you are. I noticed an article called "75 skills every man should master." It included some skills I have and some I don't. For example, I can tie a knot and hammer a nail, but frankly I can't recite a poem from memory, and bow ties still confuse me. James Farl (J.F.) Powers (8 July 1917 - 12 June 1999) was a Roman Catholic short-story writer and a novelist. He often drew inspiration from developments within the Roman Catholic Tradition. He was a conscientious objector during World War II and worked as a hospital orderly. Although Powers' published output was not in large quantity like many of his contemporaries, it has long had a devoted following who admire his ability, especially his satire, and his great ability as a true wordsmith. He captured post World War II American Catholicism. He published two novels and three collections of short stories during his lifetime, and those stories have come from a variety of sources and been republished in numerous forms of packaging over the years. 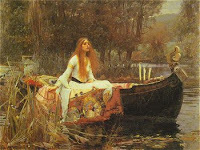 His work was admired by his contemporaries and is appreciated to this day. Evelyn Waugh once stated about Powers as a writer whose "whole art is everywhere infused and directed by his faith." And Joseph Bottum in his article about Powers calls him "the Greatest Catholic Writer of the 20th century." He won the national book award for fiction in 1963 - the year that Morte d'Urban was published. His accolades also include: Lions, Harts, Leaping Does which was selected for inclusion in the O. Henry Prize Stories of 1944; National Book Award nomination for fiction, 1988 for Wheat that Springeth Green; Wethersfield Institute Award for outstanding literary achievement, 1989. My introduction to his work was the short story The Warm Sand (seen here), which haunted me for many years. I wrote about the book and tracked it down a few years back in a piece called That Elusive Story. Since tracking it down it has taken me a few years to hunt down all of his published work that I can find. This piece is intended asof those works and over the next few months I will publish reviews of each of them. 1949 - Cross Country. St. Paul, Home of the Saints. Doubleday, Garden City, New York, 1947, 227p. Cross Country. St. Paul, Home of the Saints. Doubleday, Garden City, New York, 1962, 336p. Doubleday & Co., Garden City NY 1956, 191p. New York, New York, 29 p.
Knopf, New York, 1975, 190p. A.A. Knopf, New York, 1988, 335p. New York Review Books, New York, New York, 1999, 570p. The book Wheat That Springeth Green can almost be read as a series of short stories. In fact some of the book has been published in short story format in other sources. Chapter 10 of this book is a variation of the short story Bill - in Wheat it appears as Good News. 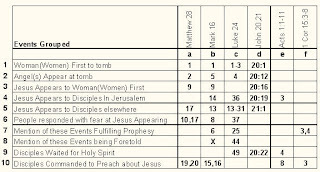 Chapters 16-18 of this book were published in an earlier format as Priestly Fellowship. Finally the short story The Warm Sand was published just a year before the book came out in The Substance of Things Hoped For edited by John Breslin SJ appears in Wheat as chapter 6 Out in the World. Though some of the short stories vary from the chapters in the novels, the fact that they are variations on the same theme make them extremely interesting. I am posting a piece tomorrow on J.F. Powers a sort of literary bibliography, biography. I wanted to post all of the cover art for his books I could find. Over the next few months I plan on rereading the canon of his works, in the order they were published and then publishing reviews of each book. A few years ago I wrote a piece called That Elusive Story about his Powers story The Warm Sand haunted me. 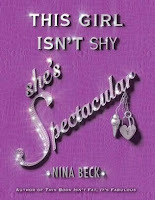 Nina Beck has written a great book. Our heroine is Riley Swain who comes from money, has a best enemy not a best friend, and a guy who is her best friend but whom she has loved for a long time. Riley is content to play the New York Socialite and her manners and behavior would be fit for the tabloids if she were a Spears or a Swank. But since she just goes to an expensive high school, and hangs out with well-to-do friends, she is just the center of attention. But all of that is about to change. It's her senior year and she has coordinated and planned the senior trip to Mexico for the second week of spring break. But now her Father and soon-to-be step-mom have registered her to go to a Fat Camp at the New Horizons School for Young Ladies. While there, things in her life turn topsy-turvy; she starts falling for a boy who isn't her type and she needs to plan an escape so she can go on the trip and fool her parents. She starts examining her motives and behaviors in a real and profound way. Yet how can it all work out? She has lied to her best friend the day before leaving New York and she kissed him for the first time and it was not what she expected. She has booked a fake spa week to fool her friends about where she is. She now has a new man in her life, but is not sure what she feels about the old one, and her whole world is crashing down around her. Riley Swain who says that she is fabulous, and does not care what anybody else says, is now having feelings and is caring for people in ways she never knew she could. Can she untangle her feelings and save her social life that seems destined to crash and burn on Saturday? Read and find out. This book really is fabulous. I enjoyed it a lot, and lent it to a friend - she was laughing out loud on the first page. 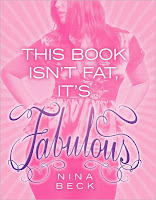 This book is not about a fat girl becoming skinny, it is about an unhealthy girl becoming healthy, and that starts on the inside with the emotions. This is one of the best books for young people I have read since Speak by Laurie Halse Anderson, and like that book, this has a lot to offer to the younger generation, and maybe even something for us older folks.